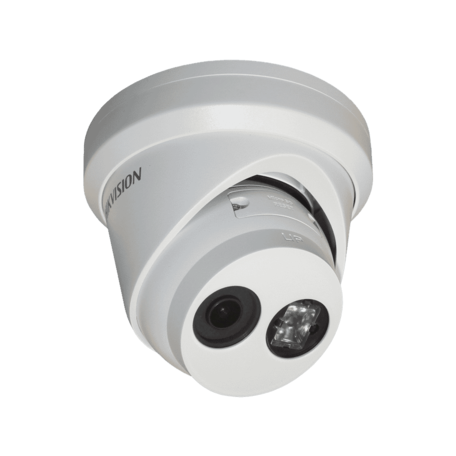 The Hikvision DS-2CD2345FWD-I is a 4 Mega-pixel IP network turret camera that uses Darkfighter technology to deliver clear colour images in very low light. It also features infrared LED's to illuminate the scene in total darkness up to 30 metres away. The DS-2CD2345FWD-I is offers a perfect balance of value, resolution and excellent low light performance making it a very popular all round camera. The Hikvision DS-2CD2345FWD-I is available with a 2.8 or 4.0 mm fixed lens and has a range of brackets and junction boxes available for easy installation.